Warren Buffett was born on August 30, 1930. Warren came from a prestigious line of Buffetts that had resided in Omaha for seven consecutive generations. Warren's grandfather operated a grocery store starting in 1869, and Warren's father dabbled in stocks. 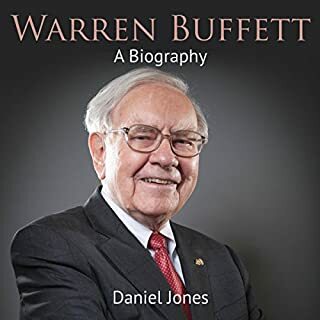 Because Howard Buffett was a stockbroker and congressman, Warren was saturated with financial knowledge and terms from a young age. Coupling this with Warren's home environment, family and friends knew it was only a matter of time before Warren would delve into the world of financial risk and success. 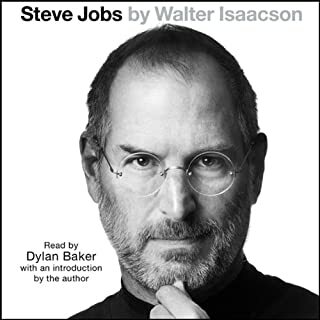 From his adoption when still an infant to becoming the Steve Jobs that we all know; the iconic visionary who played a large part in making Apple the massive success story it is today, in this book, we will take a closer look at the man himself as well as the key lessons we can draw from his life. 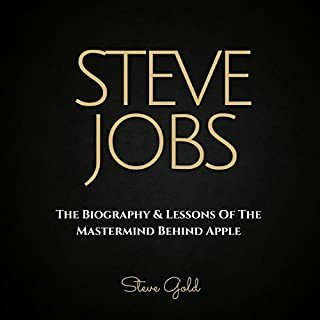 Part biography, part motivational manual, we will look at Steve Jobs' story with a strong focus on the keys to his success and the principles that allowed him to become the one-of-a-kind entrepreneur, designer, and creative genius that he was. Sir Richard Branson is an English business magnate, investor and philanthropist. He founded the Virgin Group, which controls more than 400 companies. Branson expressed his desire to become an entrepreneur at a young age. His first business venture, at the age of 16, was a magazine called Student. In 1970, he set up a mail-order record business. He opened a chain of record stores, Virgin Records-later known as Virgin Megastores-in 1972. Branson's Virgin brand grew rapidly during the 1980s, as he set up Virgin Atlantic airline and expanded the Virgin Records music label. In March 2000, Branson was knighted at Buckingham Palace for "services to entrepreneurship". For his work in retail, music and transport (with interests in land, air, sea and space travel), his taste for adventure, and for his humanitarian work, he became a prominent figure. In 2002, he was named in the BBC's poll of the 100 Greatest Britons. In 2004, he founded spaceflight corporation Virgin Galactic, noted for the SpaceShipOne project. In November 2017, Forbes listed Branson's estimated net worth at $5.1 billion. Oprah Winfrey is an American media proprietor, talk show host, actress, producer, and philanthropist. 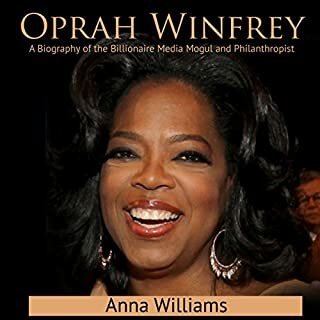 She is best known for her talk show The Oprah Winfrey Show, which was the highest rated television program of its kind in history and was nationally syndicated from 1986 to 2011 in Chicago, Illinois. Dubbed the "Queen of All Media", she was the richest African American of the 20th century and North America's first multibillionaire black person, and has been ranked the greatest black philanthropist in American history. The face of Microsoft and a man now worth $92.3 billion, Bill Gates has a lot to teach us about hard work, success, kindness, unkindness, ruthlessness, tenacity, intelligence, and philanthropy - more so than might be apparent from looking at the easygoing, oft-smiling Gates. Now is as good a time as any to try and understand how a geeky kid (said with the utmost respect) from Seattle became such an ambitious and bold revolutionary in the tech world. I will do so by pointing out a few facets that I think are the most important parts of Gates' career and personality. After graduating, Schultz worked as a salesman for Xerox Corporation and was quickly promoted to a full sales representative. In 1979 he became a general manager for Swedish drip coffee maker manufacturer Hammarplast, where he became responsible for their US operations, with a staff of 20. In 1981, Schultz visited a client of Hammarplast, a fledgling coffee-bean shop called Starbucks Coffee Company in Seattle, curious as to why it ordered so many plastic cone filters. He was impressed with the company's knowledge of coffee and kept in contact over the next year, expressing interest in working with them. A year later, he joined Starbucks as the director of marketing. Bill Gates is an American business magnate, investor, author, philanthropist, humanitarian, and principal founder of Microsoft Corporation. During his career at Microsoft, Gates held the positions of chairman, CEO, and chief software architect, while also being the largest individual shareholder until May 2014. In 1975, Gates and Paul Allen launched Microsoft, which became the world's largest PC software company. Gates led the company as chief executive officer until stepping down in January 2000, but he remained as chairman and created the position of chief software architect for himself. In June 2006, Gates announced that he would be transitioning from full-time work at Microsoft to part-time work and full-time work at the Bill & Melinda Gates Foundation, which was established in 2000. He gradually transferred his duties to Ray Ozzie and Craig Mundie. He stepped down as chairman of Microsoft in February 2014 and assumed a new post as technology adviser to support the newly appointed CEO Satya Nadella. Since 1987, Gates has been included in the Forbes list of the world's wealthiest people, an index of the wealthiest documented individuals, excluding and ranking against those with wealth that is not able to be completely ascertained. From 1995 to 2017, he held the Forbes title of the richest person in the world all but four of those years, and held it consistently from March 2014 to July 2017, with an estimated net worth of $89.9 billion dollars as of October 2017. However, on July 27, 2017, and since October 27, 2017, he has been surpassed by Amazon founder and CEO Jeff Bezos, who had an estimated net worth of $90.6 billion at the time. A good overview of iconic Tech leader. This audio book was awesome. I was skeptical that an hour would be enough time, but I learned quite a bit about Bill! It hit all the major points, while still providing enough information to give a coherent story on his background. There were also some neat facts scattered around in there, like where the name "XBox" came from. If you have even a fleeting curiosity of who Bill Gates is or how he got to where he is today, I would certainly recommend this book. I really enjoyed listening to this story. Hearing about Bill Gates' beginnings was quite entertaining. To learn that someone like him had his moments in life helps to make Bill Gates more human. Everyone knows his name due to Microsoft and the money he has made from it but to learn about the road it took for him to get there is quite enlightening. Most people have seen or heard of the movie 'The Pirates of Silicon Valley' but that is more focused on Steve Jobs and when Bill was in the scene it focused on the corrosive/explosive relationship between the two and made Bill Gates out to look like an idiot. To listen to this biography is to learn why, I personally, never really had a negative thought about Mr. Gates. He's really a good guy. The narration of this book is done very well. Nate Sjol did an excellent job and read at a nice pace. It gives you overall Bill Gates life. It starts with child life to adult life. It tells you computer was not Bill Gates first major. It also talks about how Bill Gates met his wife. This was a great audiobook! 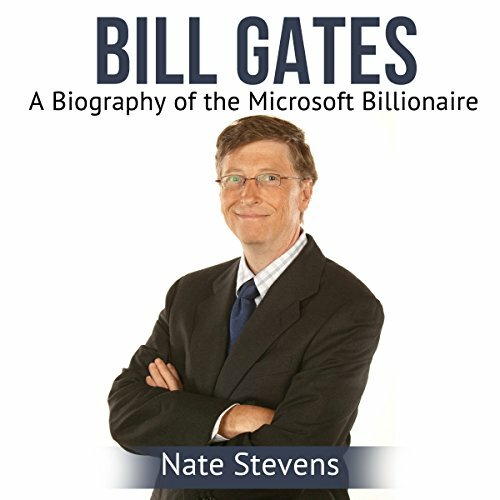 A quick listen, this audiobook covers all of the main aspects of Bill Gates’ life. This biography was very balanced in that Bill Gates’ many strengths were juxtaposed against his shortcomings. Even so, the listener can easily see that our world is far better off with Bill Gates in it than not. Also, I never realized how impressive Melinda Gates (his wife) was/is in her own right! The narration of this audiobook was nice; the narrator spoke clearly and had a pleasant voice. If you want to know more about Bill Gates, including his lasting legacy on the modern world, this is an audiobook worth listening to! I expected a book worth $5 of information but got an extended resume and interests report. Nothing in-depth or compiling here. There is no timeline or obvious narrative. Its about 3 pages worth of a mandatory school report. I wanted to shut I off for being nothing but it only had about 12 min left at that point so finished it. A high level synopsis of Gates life, businesses and philanthropic activity. 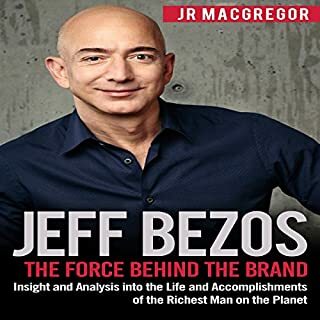 Useful for anyone wanting a quick briefing to keep up on the movers and shakers in the tech world, American business and the world in general. Interesting, informative and most of all short. If you're looking to become an expert, you should probably go looking for another source, but If you just want to be in the know, this book is perfect. I found this an interesting book to give me a general look at Bill Gates and how he became so wealthy and famous. It felt like a little peek inside his life as he started Microsoft, but for anyone who has any real interest in him as a person, his lifestyle or Microsoft and it's competition with other companies, this would leave them feeling let down. For me, this was interesting and enough information to keep me listening. I'm not a big tech person and was merely curious how he got started and what drove him, so it was just right for me. I was given this free review copy audiobook at my request and have voluntarily left this review. This is a decent overview of one of the most successful entrepreneurs of the 20th century. 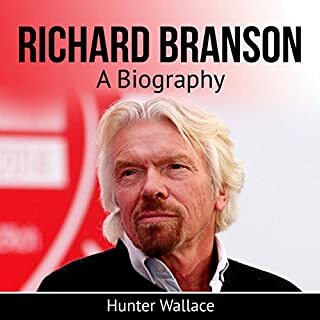 A technology and business genius of whom the listener gets his appetite wet to perhaps learn seek out a more expansive biography on the man and/or his business ventures. One hour and 5-minutes cannot do the person or the topics justice, but does succeed as a general primer. Perhaps if a bit longer the work could have at least scratched the surface of the intense love/hate relationship between Gates and Jobs as Microsoft and Apple vied for technical superiority and public recognition as being #1. The narration was decent, as was the content, just nothing special in my opinion. I would recommend this listen for anyone curious or interested in an American business success story without going into too much depth. In short, an hour of time only begins to scratch the surface of the impact Bill Gates has had on the world today; from technology, to business, to philanthropy. Skims over everything. Could be much better with more detail. It’s well performed but leaves you wanting more.